I was actually a little nervous because the can was stinking up my kitchen as I whipped the banana oats, but it turned out great!! It actually turned quite soupy after I stirred in the squash. Puzzling! Perhaps water content. It never quite gelled back up. But it tasted awesome! 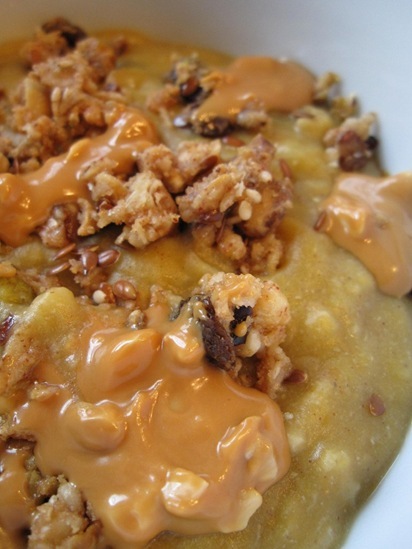 Almost like pumpkin oatmeal mixed with a little apple pie?? 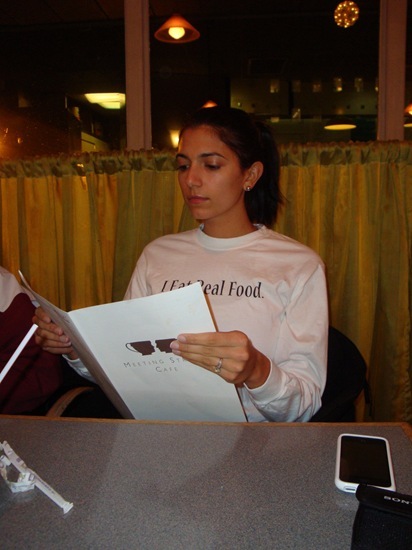 RhodeyGirl was spotted dining out in an “I Eat Real Food” shirt!!! I started my day with 45 minutes of Detox Yoga. Then I straightened up the house. Now I’m going to take my Psych Test online. Then workout. Then lunch out. Then study all afternoon! Fabulous bowl of oats this morning!! And hoooray for celeb sighting! Be sure to stop by my blog today for my current contest! Interesting sounding oats…definitely not a combo I would put together, but interesting! Oooh, interesting. If it is reminiscent of apple pie, it must be good! Have a good day! Ah that candle is so cool! I absolutely love the way you set a beautiful place for yourself for every meal. We should all take the time to do that for ourselves! hey kath– story to tell you: i went to Trader Joes yesterday & was stocking up on some pumpkin butter when this lady behind me says “oh that’s really good but i have to find other ways to use it other than just putting it on toast”– I told her i was a little bit obsessed w/it & gave her your idea of maybe putting it on top of her oatmeal. It was like i saw a light pop up on top of her head when i said that! that candle is SUPER cute! I have got to find these probars-pistachios are like my favorite food! I definitely have to try butternut in my oats now! SmA033—BANANA BUTTER?!?!? Omg I have to look for that, I wonder where we can find it in stores???? Has anyone seen it? 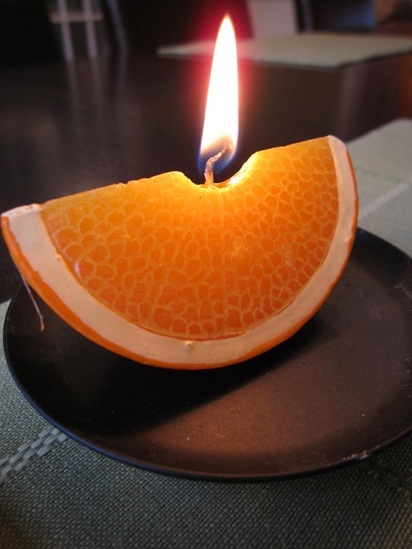 Love that orange candle – too cute! Yay Rhodeygirl! Awww, that a cute pic of Rhodeygirl! I love that candle, it’s so cute! Butternut squash oats are great. I like leaving it in little chunks sometimes. butternut squash in your oats?? 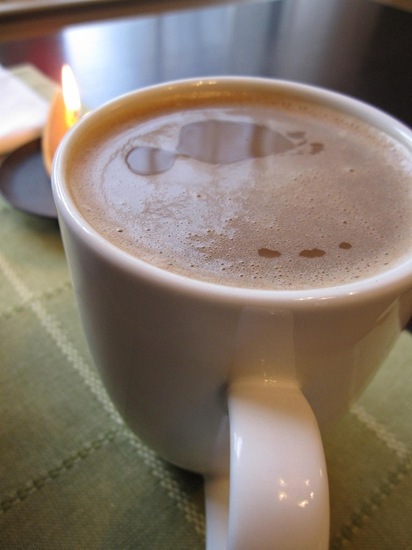 how very interesting….could you taste it?? Was it similar to the pumpkin? The orange candle is cute. Really interesting idea for oatmeal. I’ll have to try it. Love that adorable candle! Awesome post!! Great bowl of oats, cute candle and love the shirt. That orange candle is so cute! I need to get myself one of your shirts – I love the motto. I mix Sweet Potato’s in my oatmeal every now and then, when there are leftovers. It is quite tasty, it makes the oatmeal even smoother it seems, and the taste resembles that of sweet potato pie. 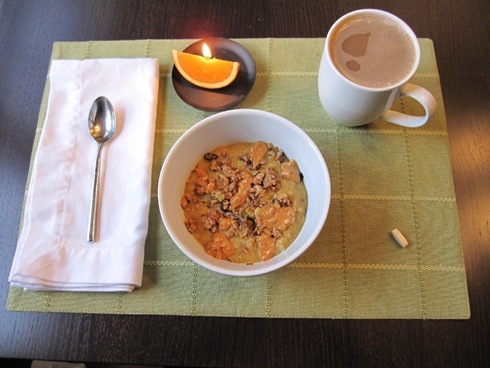 What a great idea to mix in butternut squash, you and Tina are so creative with your oatmeal. I love the candle! So Cute! 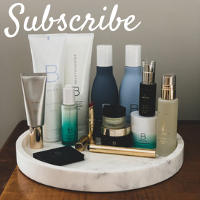 I’m so glad you entered my contest and added me to your blog roll! Thanks! I love that candle! It’s so cute. Hi Kath, I’m a regular reader, first time commenter but I couldn’t resist. I too tried the butternut squash and it always came out a little runny. 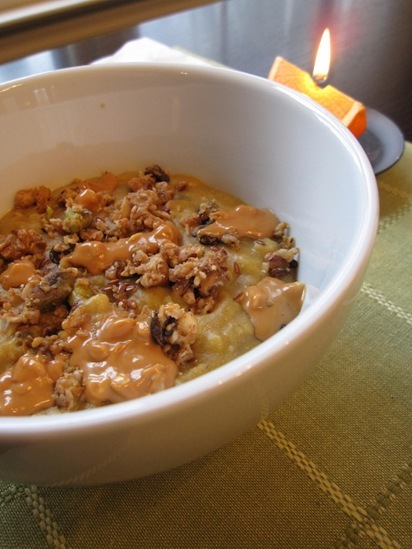 Also it doesn’t hold a candle to TJ’s sweet potato puree as an oats mix in. I might even like it better than pumpkin. It is great mixed into yogurt too. Pick up a can next time your there, you won’t be disappointed! I haven’t been able to find the canned butternut squash anywhere. Unfortunately we do not have a tj’s around here:( I’d really love to try it! I need to try that butternut squash add in!!! Love the candle! So cute! When do you finish school and begin working as a fulltime dietician/nutritionist? Canned butternut squash sounds great! I’ll have to look for it in my store. Enjoy your workout, lunch out, study out. I’m out. My Mom has always made squash pie instead of pumpkin pie because my parents grow butternut squash in the garden every year. She adds the same spices you’d add to pumpkin pie, tastes pretty much the same I think. and i love the butter theme, kath! I love the orange candle! Oh remniscent of apple pie? Sounds wonderful! That candle is absolutely adorable, too! Are there other fruits as well? 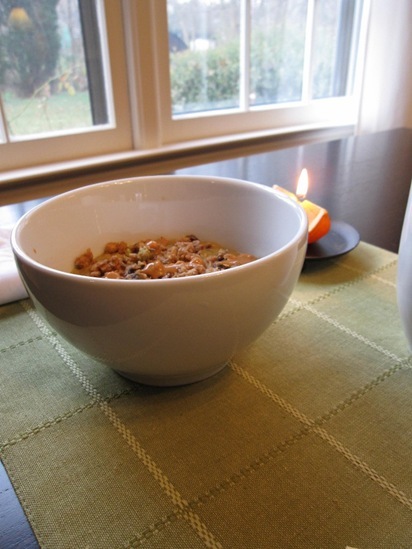 The oats look great – and cute candle! i love your candle, it looks like it smells wonderful. tastes like pumpkin oatmeal with a little apple pie? can’t go wrong there! i totally thought that orange was real at first! Love RhodeyGirl’s t-shirt. Buying one is one of my mini goals to buy once I get to 150. RhodyGirl looks so cute sportin’ her KERF shirt!! hahaha celebrity sighting!! That made me laugh out loud. So cute! I’ll have to look for canned butternut. I’ve always viewed squash as kind of a pain to prepare unless it’s just roasted. I cannot find canned squash in my grocery store! I will keep looking at other places. Should I look in the cooking/baking aisle where the pumpkin is or in the canned vegetables area?? Kath, love the candle! Any idea where she got it? Hmm butternut oats. I’m not sure I’m that adventurous yet. Glad you liked it though!!! Oh I need to find that canned butternut squash-YUM! Rhodeygirl, is that meeting street cafe??? Cool! I can’t wait to open my next jar. I always talk myself out of sweet potato because they are so easy to make from scratch, but I should try the canned in oats for the convenience factor because I doubt I’ll want to cook a SP first thing in the AM! I’ll be done with my RD July 2010 and done with my masters in the year after. 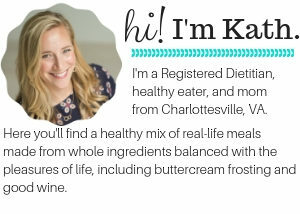 I don’t plan on “entering the workforce” though, as one of the main reasons I pursued nutrition as a career was because of the flexibility it allows for part time and creative work. I went crazy working 9-5 and don’t ever plan to do that again. I hope to open a business and work part time in the mean time combined with freelance projects and blogging, of course. But I lost 30 pounds working 40+ hours a week, so I’m sure I would figure it out! In a community ed class this fall, a local chef told us that canned pumpkin is usually made from butternut squash (and googling seems to confirm this). In class, we made a “pumpkin” pie from a freshly baked butternut squash, and it tasted the same. Your butternut squash puree may be processed differently than the canned pumpkin, but it’s probably started life as a very similar vegetable. Mmm, I love butternut squash oats! I find them more filling that regular pumpkin! great recipe and its good to see too many active people blogging for healthy food…. I love butternut squash, I actually think it’s sweeter than pumpkin! I definitely thought there really was an orange on fire in the first pic with the candle. Good thing you explained that, haha! I love love the orange candle! Do you know where it is from?